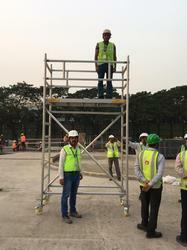 lightweight Scaffold Mobile Towers in Aluminium with all safety features are manufactured at our modern plant consisting of aluminium frames, ledgers, outriggers, toe guards, staircase, caster wheels and work platform. Size: 2 mtr x 1.4 mtr x 15 mtr height. Size: 2 mtr x 1.4 mtr x 10 mtr height. 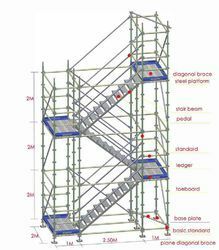 Our company has gained expertise in offering a quality range of Aluminum Scaffolding Tower. 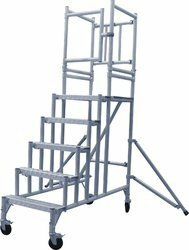 The Aluminum Scaffolding Tower is available with staircase. These products are made by using quality material which is sourced from leading vendors of the industry.The products we offer is widely demanded amongst the clients for its safe use. These products are tested for their quality before being introduced in the market. Our company is involved in offering a quality range of Steel Staircase Mobile Tower. The Steel Staircase Mobile Tower we offer is widely demanded amongst the clients for its durability. our products are known for their safe use.The product we offer is widely demanded amongst the clients for its sturdiness and quality. Offered products are suitable for their easy installation. It couldn't be quicker or easier: Release the brake and your scaffold tower is ready to roll. 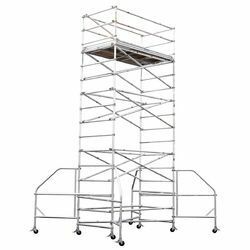 Scaffold towers with cuplock give you increased mobility and productivity. Castor wheels with centred load-bearing for manoeuvrability. It's almost magic - it takes no time at all to erect the first level of your scaffold unit. Simply unfold it, and there you have your basic scaffolding in just a few seconds. To maintain excellent quality standards, we are offering a quality range of Stable Base. 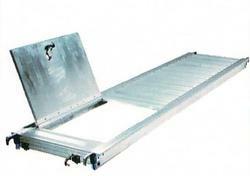 The Stable Base is recommended amongst the clients for its safe use. 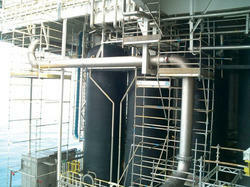 These products are made accordingly as per the requirements of the clients. 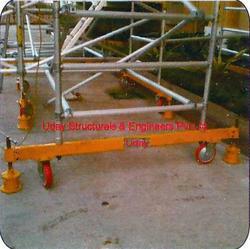 Stable base comes with extra long out-riggers for stability of high tower.The product we offer is widely demanded amongst the clients for its sturdiness. These products are recommended amongst the clients for their safe use and easy installation. 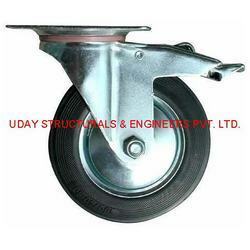 Castor wheels are used in mobile towers & travelling gantry etc. 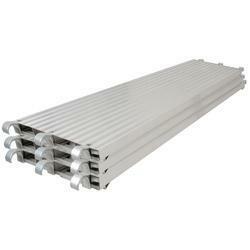 Looking for Aluminum Scaffolding & Aluminium Mobile Tower ?